SUPPORT | SPRING | SPRING is a charity that Supports Parents and Relatives through baby loss. This is an informal parent peer support group, facilitated by qualified counsellors and health professionals. The meetings are friendly and relaxed and open to anyone who has experienced the death of a baby, either in pregnancy or shortly after birth. 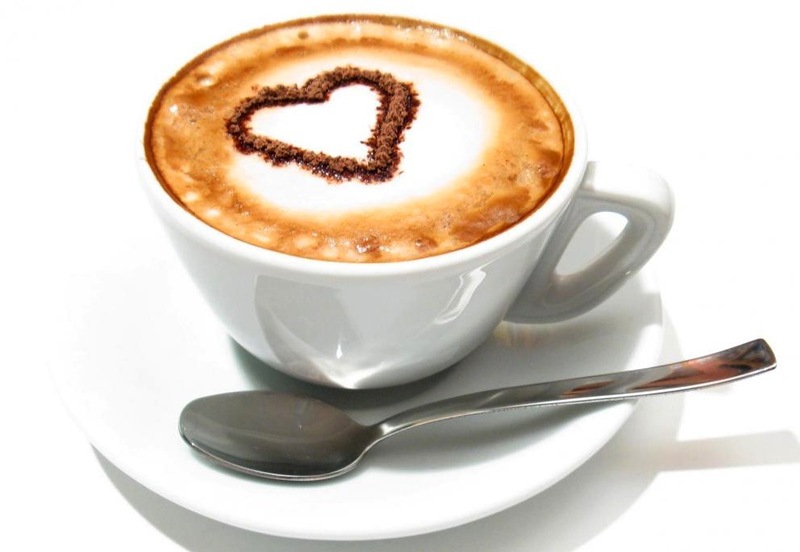 Monthly coffee mornings take place every month in a cafe, providing an informal and relaxed environment for bereaved parent and relatives to meet over a coffee and cake. Coffee mornings take place every first Saturday of each month at The Coffee House, 10 Adastral Square, Canford Heath, Poole, Dorset BH17 8SA. A fully comprehensive counselling service is available for all bereaved families within Poole, Bournemouth and surrounding areas. All counsellors are fully qualified and adhere to British Association for Counselling and Psychotherapy guidelines (BACP). The Maternity Bereavement Support Service is provided by St. Mary’s Maternity Hospital, Poole and supported by SPRING. SPRING has been pivotal in implementing the support service by funding and creating the original Bereavement Support Midwife post for two years until funding was provided by St Mary’s Maternity Hospital. Finding that demand far outweighed the hours available for one person, two years later a Bereavement Support Midwife was funded by SPRING until 2013 when funding was again assumed by the NHS. The aim of the Bereavement Support Service is to provide a resource for staff, parents and families 52 weeks a year. Because of the allocation of services, high risk patients are cared for in labour at St. Mary’s Maternity Hospital even if originally booked to deliver at the Royal Bournemouth Maternity Unit. Women who suffer baby loss are seen to be high risk and may have additional problems because of the loss of the baby and so all are cared for at St. Mary’s Maternity Hospital, Poole. At this time of huge shock and sorrow we aim to support parents and families at a time when they are vulnerable. Training and support is given to staff at both at Poole and Bournemouth, to Midwives, Maternity Care Assistants and Doctors to provide excellent care and support during this time. St. Mary’s Maternity Hospital, Poole, is recognised as having one of the best Bereavement Support Services and networks in the country. SPRING also help to provide materials and resources to enable parents to make memories such as photos, hand and footprints and provide cameras, printers, paper, ink, and specialised printing materials within the maternity unit. SPRING has also helped to initialise a knitting group which provides outfits, teddies and blankets for all SPRING babies whatever gestation or size. The Bereavement Support Service helps to organise this and many other things to support parents. You may never see us within the unit, but we endeavour to contact all parents after their loss to offer support on an on-going basis. This is of, of course, optional, but many parents have found it useful to be able to ask questions about funerals, legalities and what happens next. Parents often find it helps to be able to talk to trained staff who are there to listen when they want to talk about what has happened. We visit within your own home where you feel safe and secure. We acknowledge that everyone is different and that all will have their own way of grieving, but that sometimes parents can find common feelings and experiences, and having listened to hundreds of parents we can help you feel that you are not alone and feel less isolated. Behind the scenes we also work to ensure that the necessary paperwork is done and that it finds its way to the right people. We do our best to help minimise delays that can be distressing at this time. The service acts also as a signpost to parents, health professionals and other agencies to support parents. At a time of great grief and sorrow the Support Service hopes to make the road that Bereaved Parents find themselves travelling a little less bumpy and hard. The SPRING suite at St Mary’s Maternity Hospital, Poole was officially in opened in June 2002 to provide a safe, private space where parents and families receive specialised support as they go through the loss of their baby – away from the main maternity wards. Every year 60-80 families use the SPRING suites. These very special places allow parents and families to spend precious time with their baby before saying goodbye. In 2014, as part of the reorganisation at St Mary’s Maternity Hospital, the existing SPRING suite was replaced with two suites. The SPRING Moon and Star bereavement suites have their own private entrance – so families do not have to use the usual maternity hospital entrance. The suites are not normal hospital rooms. Tailored to meet the needs of bereaved families, they are as welcoming and ‘home-like’ as possible. The Snowdrop garden was created in 2003 when JP Morgan, Bournemouth, in association with SPRING, ran the enormously successful Smartie Appeal, raising a fantastic £7224.30 towards creating a remembrance garden at Poole Cemetery. SPRING worked alongside the cemetery while the grounds were prepared and transformed in to a beautiful colourful garden for our special babies. The Snowdrop Garden sits in a secluded corner in Poole Cemetery, Dorchester Road. This private corner of the Cemetery has made the world of difference to so many grieving parents and families. Situated away from the gaze of the rest of the cemetery, and totally enclosed, parents and families can spend quiet reflective moments with their babies. Just take a walk through the Lych Gate and follow the stepping stones to a place a million miles away from the outside world. With windmills whirring, wind-chimes tinkling, and the soothing sound of water; this garden will calm and refresh your soul. Flowers of every colour, toys and teddy bears are everywhere. You can sit under the arbour or perhaps under the trees in dappled sunlight watching squirrels and birds come and go. Time seems to move very slowly in this garden, allowing enjoyment for peaceful reflective moments. “I first went to an Open Support Meeting just two months after I lost my son Dominic. I didn’t know what to expect – how many people would be there – what was expected of me. I went to the meeting full of apprehension, but with a need to meet others who knew what I was going through. There were about half a dozen people there and although everyone’s circumstances varied I took comfort from the similarity of feelings and emotions in the room – it helped to ease the loneliness and reduce the niggling doubts about my own sanity.